Setting / Occasion – Got an invite to a black tie gala with the partners of your firm? Or is it another average day wrestling with Excel in the cube? The setting and occasion will play a large part in determining the type of suit you wear and the type of the lapel that should grace it. Type of Suit – Not all lapels work for all suits. For example, shawl lapels will go best with tuxedos and DB suits should almost always have a peak lapel. Body Type – So you’ve got a Barney Stinson frame with a penchant for Harvey Specter-esque ultra-wide peak lapels? You may want to rethink that combo. Considering your body is an important factor in choosing the right lapel for you. For example, slimmer lapels will look more proportional to the physique of a slimmer gent and hence, be more flattering. It’s a game of proportions, so make sure your suit lapels are playing along. Notch Lapel (also called the “stepped lapel”) – The “notch” is the opening where the bottom of the collar meets the top of the lapel, usually at a 75 – 90 degree angle. The notch lapel is the most common lapel for a reason – it’s the most versatile of the bunch. It is most often found in single-breasted suit jackets, blazers and sports coats. If you only own one suit, this is the lapel type to go with. Setting /Occasion (where to wear it): Every-day business suit, interview suit, can’t-go-wrong wardrobe staple, chick-magnet ensemble for the bar. Body Type (who should wear it): All body types. And while not a black-and-white rule, slim notch lapels will tend to flatter and maintain the proportions of a slimmer frame. Joseph Gordon-Levitt, Aziz Ansari and Neil Patrick Harris types, rejoice. Type of Suit (what to wear it on): Ideal for single-breasted suits, blazers and sports coats. Not recommended for double-breasted suits and tuxedos. Peak Lapel (also called “pointed lapel”) – Peak lapels are traditionally the most formal of the lapels and were originally common in formal wear garments such as tailcoats and morning coats. 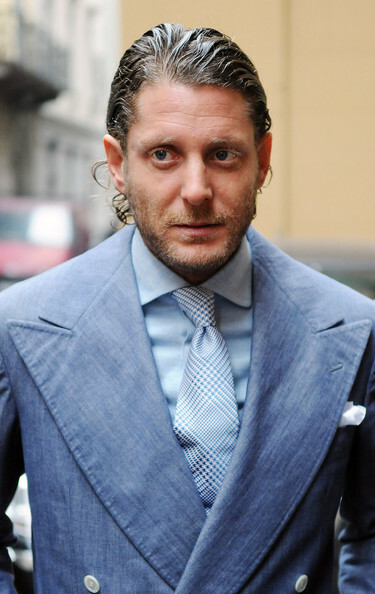 Peak lapels will tend to look a little more fashion-forward (especially if you decide to go the Lapo Elkann route). In actuality, peak lapels have been around for over 100 years. It is also the most expensive lapel to manufacture (requires the most amount of skill). Slim Peak – A slimmer version of the peak lapel. (Black Lapel’s Slim Notch lapels are 2.75 inches, roughly 0.5 inches thinner than our normal lapel, which are approximately 3.25 inches wide.) Like the slim notch, works best with a slim suit and flatters a slimmer body type. Setting /Occasion (where to wear it): Weddings, formal dinners, black tie events or simply whenever you want to dress up a bit while turning some heads. And the office? Yes, peak lapels are good to go here. Body Type (who should wear it): For those looking for some added height, the points of a peak lapel can create an elongating effect by moving the eyes upwards towards the shoulders. The elongating effect also has a slimming effect, so larger gents might want to give this a try as well. Type of Suit (what to wear it on): Double-breasted suit will almost always have peak lapels. They are also appropriate on single-breasted suits and you’ll often see these lapels on pinstriped fabrics. Shawl Lapel – Characterized by a rounded edge, the shawl lapel is most common on dinner jackets / tuxedos (for those nights you plan on taking down a couple of Oscars or upstaging the groomsmen at a friend’s wedding). While you will rarely see a shawl collar on anything other than a tuxedo (or smoking jacket), many style enthusiasts will argue that the shawl lapel can be more of an informal variation of evening wear. Setting / Occasion (where to wear it): Black tie events, red carpet galas and weddings. Body Type (who should wear it): Most body types. Not recommended if you have an extremely round face or body as the rounded lapel will accentuate those features by mimicking it. Instead, opt for a peak or notch lapel with more jagged lines instead. Type of Suit (what to wear it on): Ideal for tuxedos. 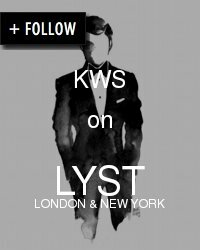 Accessorize Events Fashion Lookbooks Menswear Outerwear Shoe Game Sportswear Suited For A Man Whips Ect.